Does your cat like smooshing herself into tiny spaces she can't possibly fit? You'd be surprised where a cat can actually smoosh into. Here's the adorable proof! 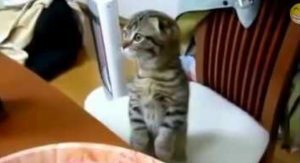 Here are some cats doing jobs that only a cat could do. 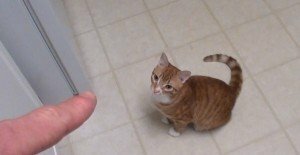 What is your cat's favorite job? 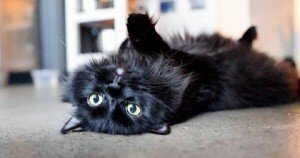 Sometimes a cat needs to get up on his back legs, nice and tall, to see what's really going on. These aren't meerkats just mere cats! Standing around like humans. 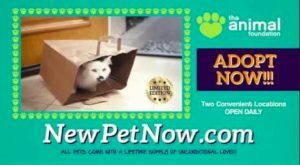 Hilarious infomercial for adopting a pet cat! Alarm didn't go off? Late for work AGAIN? 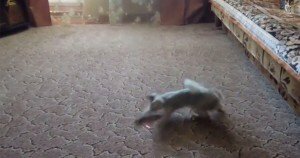 That wouldn't happen if you had a pet cat! Only in Japan! 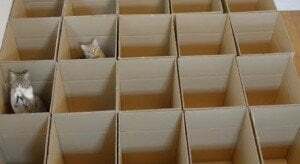 9 cats playing in a cardboard box maze! 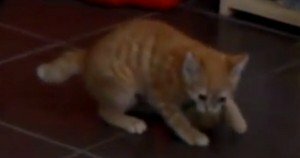 This little kitty loves playing with balloons and this is his lucky day! 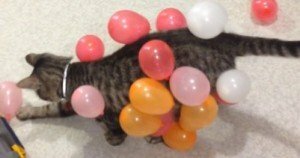 He's also learning an important lesson about static electricity and how adorable it can be. This is how cats see the world. 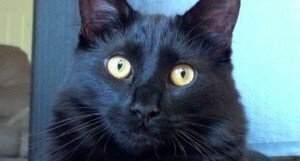 It might not make sense to us humans, but it is perfectly logical to the feline mind. Maybe humans would be happier with more cat logic. 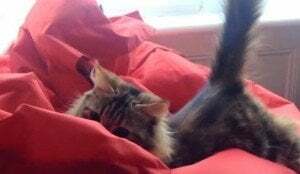 Sometimes a cat just needs to kick back and relax after a busy day of catting around, luckily for us, it's pretty darn funny when they do. 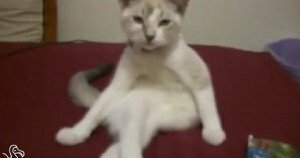 Watch these cats lounging like humans. It's one thing to kick a cat out of a chair or place you'd like to sit, but you can do it in a nice way. If you decide to be a jerk about it, you're taking a big risk. 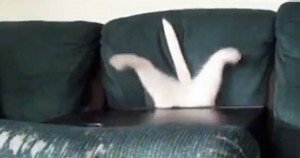 Cats love beanbag chairs and thankfully there's now a compilation video to prove it! 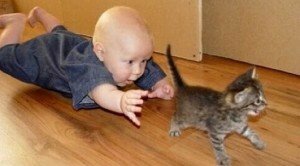 Amazingly patient cats and kittens playing with adorable babies. 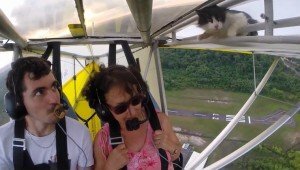 Insane video of a cat who got more than he bargained for when he took a nap on an open-cockpit glider. 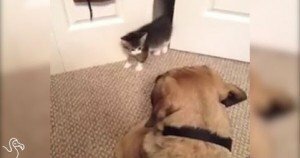 Don't worry, the cat survives to tell the tale! 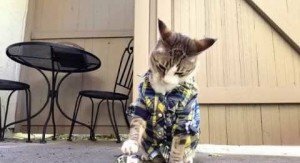 A cat named Pecan has figured out a genius way to boss his human slave around and force them to give him treats and he wears a fancy outfit while doing it. 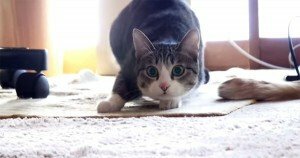 Video: A frisky cat prepares to pounce on her prey, but not before performing a little body wiggle move that telegraphs what she’s about to do — take a look.